When you Google search for your company, odds are it comes up pretty high on the search results. Your first thought might be that all of your search engine optimization tactics are going to good use. The truth is, you might not be as highly ranked on Google as you think. What is Google’s Personalized Search? From things you recently shopped for online to websites you frequently visit to people you connect with on social media, it’s no secret that Google knows about our online habits. The search engine retains records of what you look for online frequently, and by tracking your activity, Google makes your searching easier. 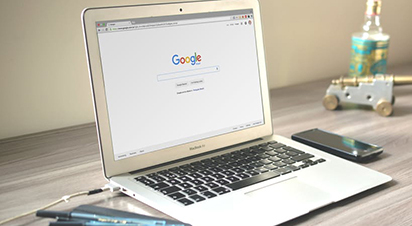 Not only does Google index your past searches and browser history, but they also use your location every time you login, and even take into account your friends on social media to tailor your searches. As helpful as this may be to some people, it’s not so great for businesses trying to assess their own SEO. Sadly, Google has gotten rid of the ability to turn off personalized results completely. But thankfully there are a few services to help you see your SEO efforts. Companies such as Moz and Serps provide software that can let you find out where you truly rank and help you reach your SEO goals. Post about local events and attractions – Since location is a large part of customized search, it’s important that you post more than just your business’ services. Integrating fun blog posts into your site and emphasizing your company’s presence in a geographic region is a good way to come up in searches. Connect with customers – Social media marketing has continued to grow since its emergence in the 2000s, and you can use this growth to your advantage. The more people you can get to like your page or follow your accounts, the more likely their friends will see you in a search. Contact Sixth City Marketing Today! Does your business need help with digital marketing and SEO? Sixth City Marketing would be glad to help. We specialize in a variety of services such as social media marketing, web design and development, and many more. Contact us today if you are interested in working with us. We look forward to hearing from you!